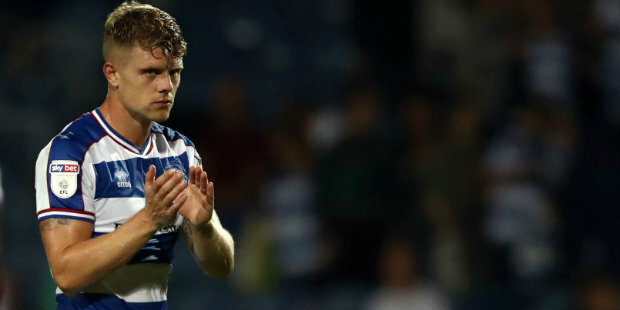 QPR expect to receive news on injuries suffered by Jake Bidwell and Jordan Cousins within the next 24 hours. Both players went off during Saturday’s 1-1 draw against Derby at Loftus Road. Bidwell was led away after half an hour of the game with what appeared to be a shoulder problem, although Steve McClaren suggested the injury was to the defender’s collarbone. Manager McClaren fears Bidwell’s injury could keep the former Brentford man sidelined for some time. “He’s gone to hospital. It didn’t look good. Shoulder or collarbone – we don’t quite know yet,” said McClaren. Cousins, meanwhile, limped off midway through the second half of Saturday’s match. Bidwell being sidelined for a lengthy spell would be a significant blow for Rangers, who are not heavily stocked with other options at left-back. They are already without right-back Darnell Furlong, with short-term signing Angel Rangel having been signed as cover. Veteran defender Rangel moved across from the right to play as a makeshift left-back after Bidwell went off against Derby. Bidwell is no stranger to shoulder injuries – he spent two months on the sidelines in 2016 after suffering a dislocated shoulder against Burton Albion. Rotherham boss fears QPR will recall Manning - but how likely is it?